Oh my, this is one of my favorite desserts during the summer . Easy to do, luxurious, wobbly, custardy, light but flavourful, healthy and so tasty. Clafoutis is one among so many different French fruity desserts that we can enjoy during the summer season. It is a speciality of the Limousin region, where it is traditionally made with the local black griottes, or sour cherries, arranged in a buttered dish and covered with a thick flan-like batter. There are numerous variations using other fruits, including plums, prunes, apples, pears, rhubarb, figues, cranberries or blackberries. When other kinds of fruit are used instead of cherries, the dish is properly called a “flaugnarde”. You can also prepare a savory version with different vegetables like cherry tomatoes, shallot, zucchini, spinach… You can also add ham and cheese. Children will love it! 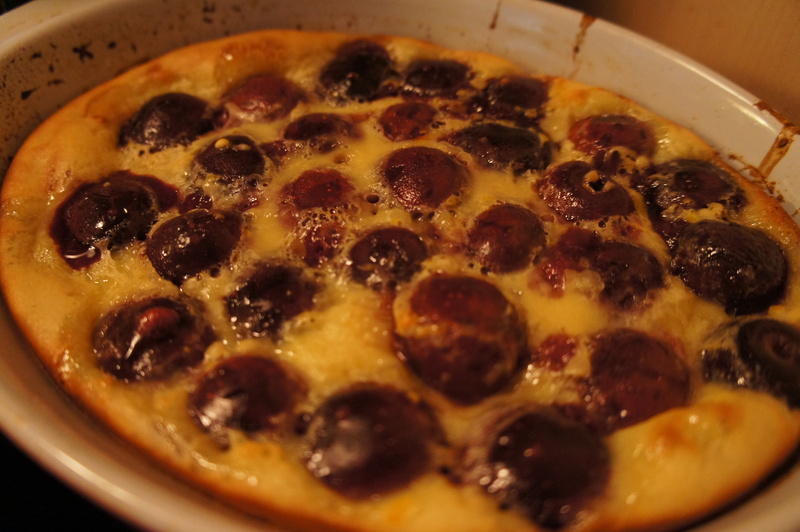 Clafoutis is a versatile and casual dish, a little rustic for sure but so tasty. So feel free to personalize it, your family and friends will love it. The name “clafoutis” comes from the Occitan dialect word claufir, to cover or fill. And it is exactly what this dessert does, very pleasurably, indeed. 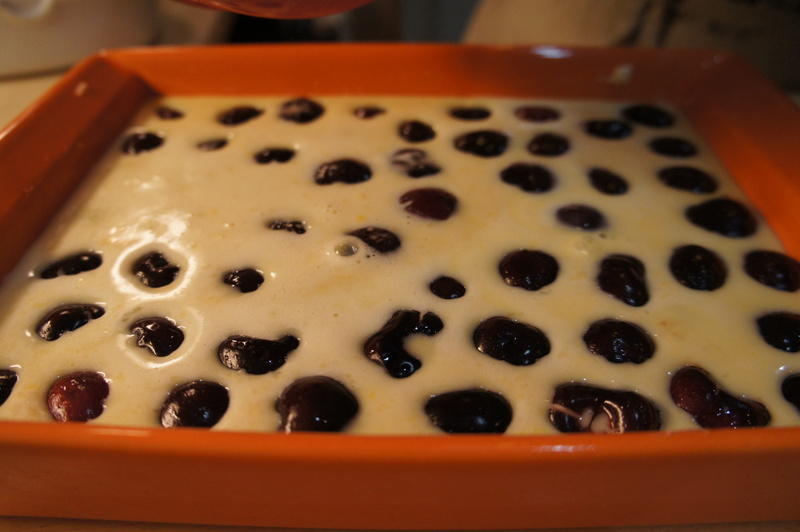 Traditionally, a French clafoutis contains the whole cherries (i.e. with the pits). 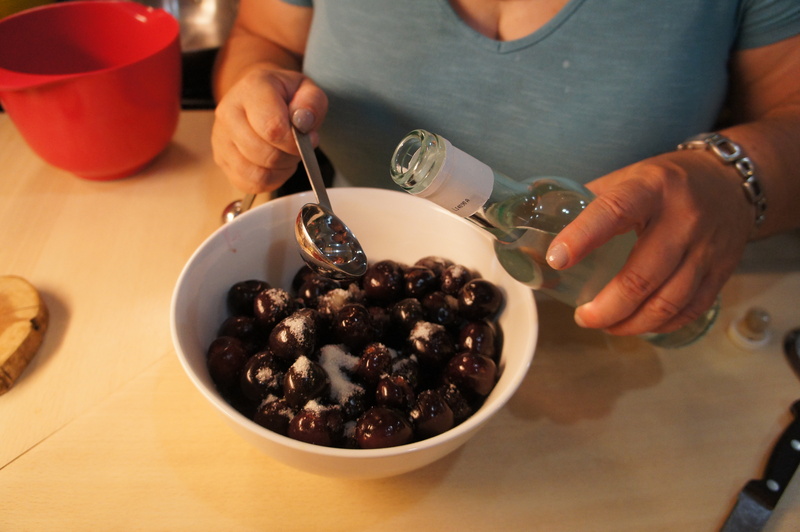 Over the past few weeks, I read a lot about cherry clafoutis and I have found several recipes that call for removing the pits – some important authors: Julia Child and David Lebovitz, to name some of the well known North American French cuisine gurus. The idea of removing the pits is a difficult decision for me. I live in North America and I understand that it is important to adapt recipes to the audience we would like not only to reach but also to engage in a culinary journey. 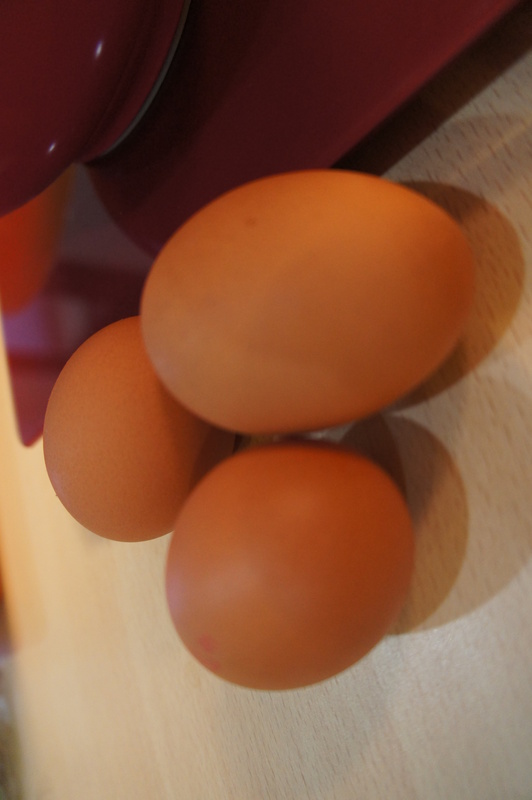 However, I really want to share with people the pleasure of French food and the essence of what makes our cooking style that is prepared using simple ingredients so tasty. I have a lot of thoughts about this dilemma. It is true that I am under the influence of the French tradition and the fact that I don’t want to be too “Americanized” – stubborn French girl! But to be honest, it is more complicated than this. It relates to my childhood, my grandmother Adele’s clafoutis, the way she taught me how to make this recipe, and the sweet and lip-smacking souvenirs associated with this dish. A real gourmandise! And honestly, I really think I will be so disappointed to discover after so many decades of delicious cherry clafoutis that the fact of keeping the pits doesn’t make any difference at all. The flavour is the same with or without the pits! Then, I have decided that I will leave to you the decision to remove or not the pits. The only thing I can do is to give you the “food science” explanation of why we need to keep the pits when doing this specific dish – to be able to make the most delicious clafoutis! According to The Larousse – one of the most prestigious series of French cooking books, the pits have a particular aroma which infuses the batter as they warm up in the oven. 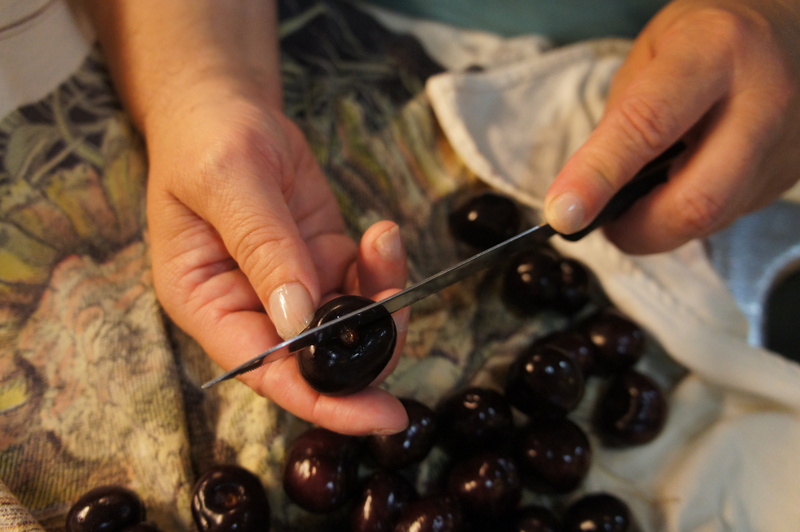 As a result, removing them robs the dessert of its full cherry flavour. 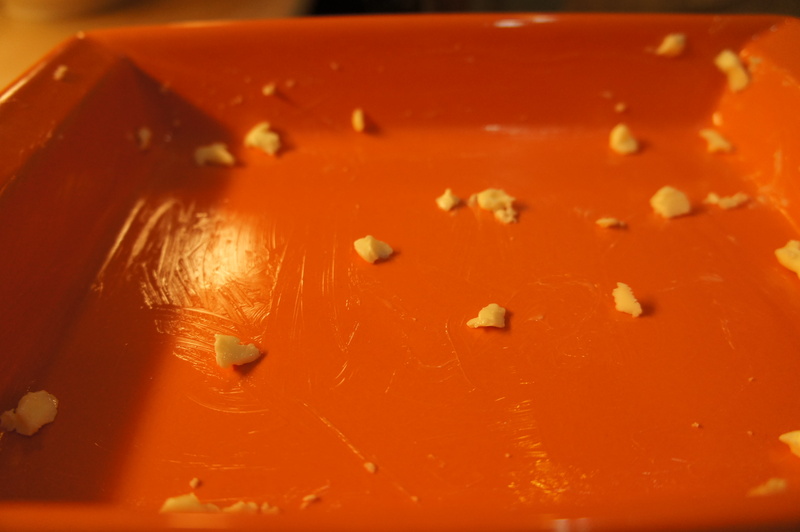 The pits contain amygdalin, the active chemical found in almond extract. 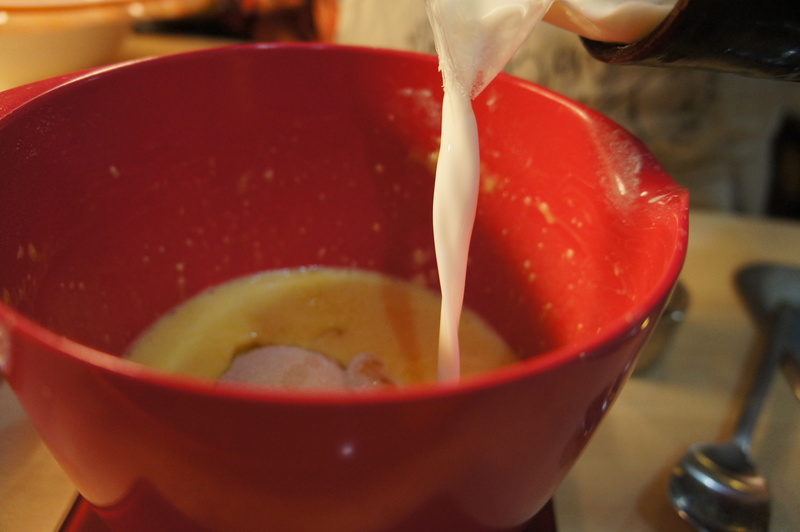 Thus, a small amount of amygdalin from the pits is released into the clafoutis during baking, adding a complementary note to its flavor. If you decide to remove the pits, you can add some of this flavourful characteristic by adding 1/8 teaspoon almond extract. This is the secret! I think it is time to cook. This is my recipe for a true French cherry Clafoutis. 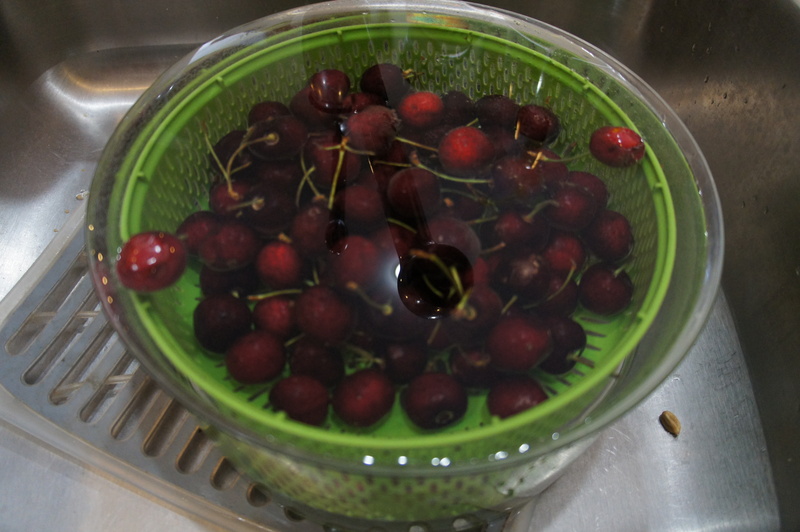 Wash the cherries and remove the stalks. If you are not buying organic cherry, it is really important to wash them appropriately to remove as much as pesticides you can. Cherry is one of the “Dirty Dozen” among the fruit and vegetable list. I recommend to simply wash them in a solution of distilled white vinegar and water. 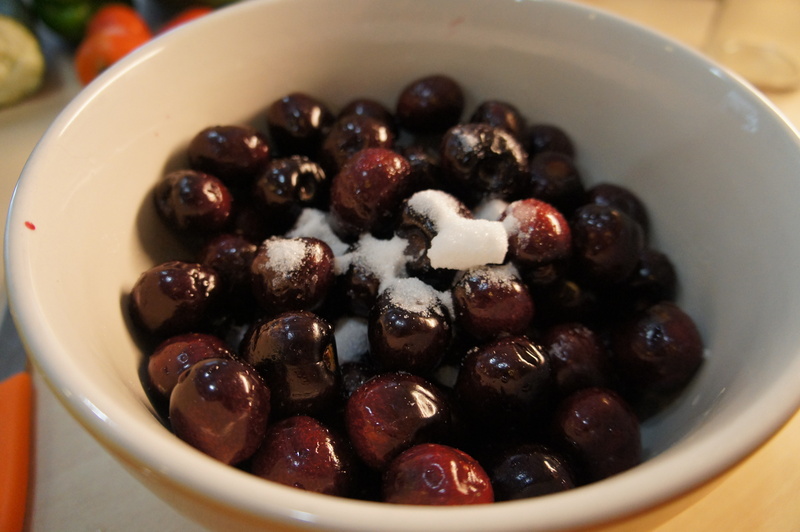 You can soak the cherries in a solution of 10% vinegar for 15 to 20 minutes. Rinse them in clear water. Using this technique, you should be able to remove 80% of all pesticides. Put in a bowl and lightly crush them, so the skins pop but the fruit retains its shape. Add 3 tablespoons sugar and the kirsch, toss together, cover and leave to macerate for two hours. If you use pitted cherry, you don’t need to crush them but you will have some juice. 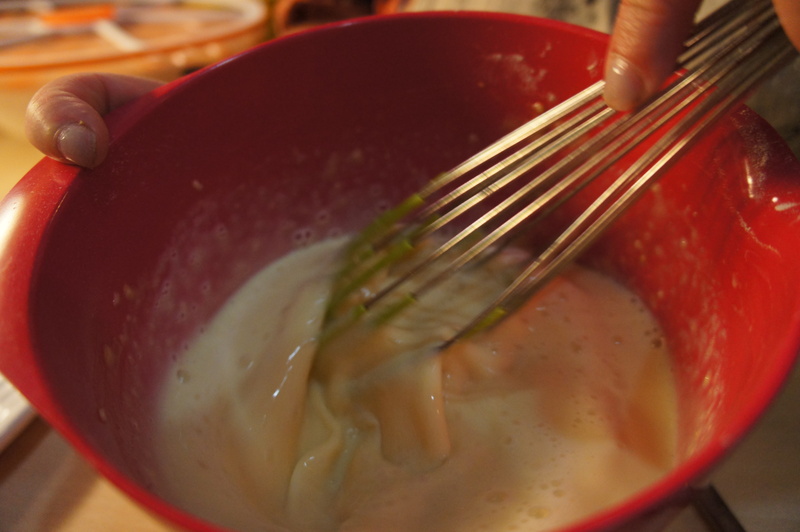 Do not discard it, you can add some to the batter. Why is it important to macerate the fruit in kirsch (or other brandy) and sugar for two hours before cooking? This is a technique I use a lot when I am doing jam. The sugar will slowly permeate the cherries and intensify their flavour. The alcoholic bath will give an extra flavour. 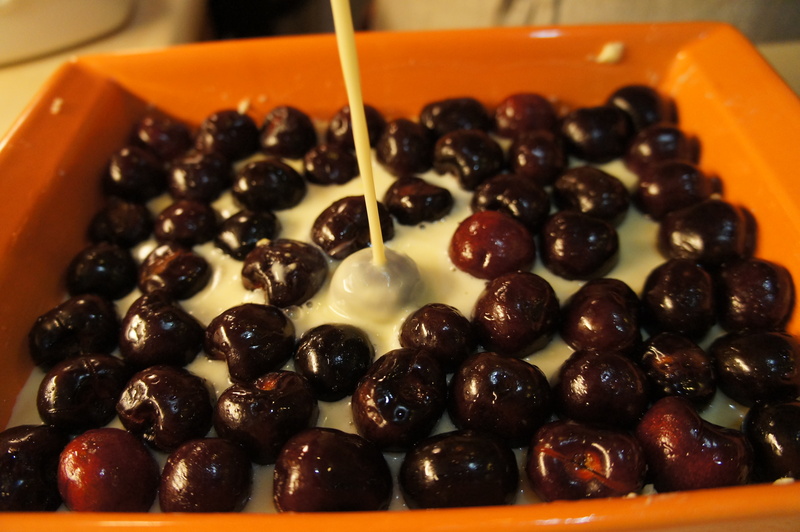 Grease generously a 3-liter (3-quart) baking dish, just wide enough to hold the cherries in one layer. 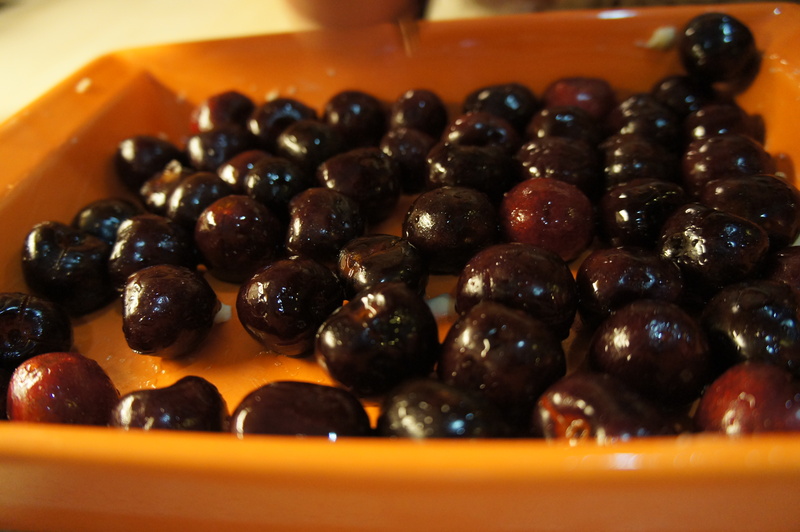 Lay the macerated cherries in a single layer in the baking dish. 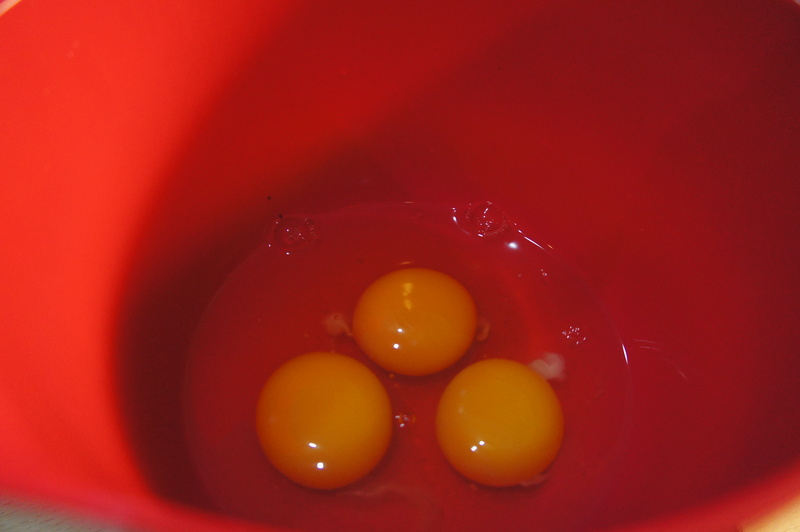 Sift the flour into a mixing bowl and add a pinch of salt and the 80 grams of sugar. 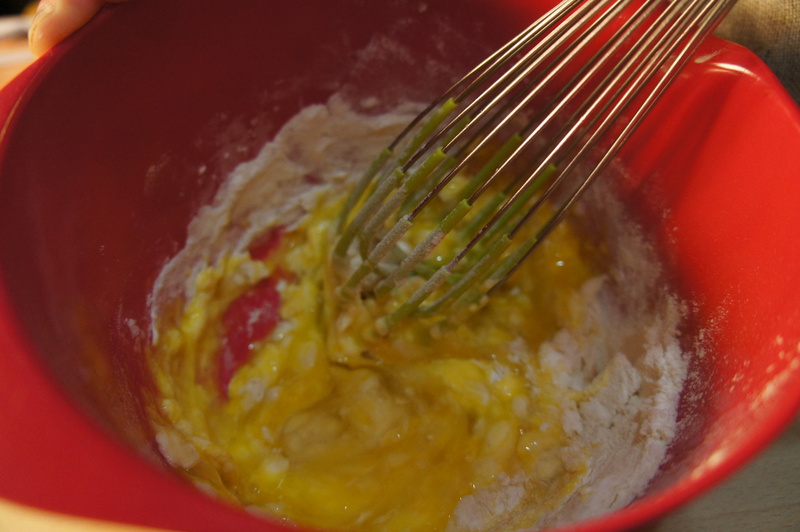 Whisk in the eggs, followed by the milk until you have a smooth batter. Stir in the vanilla extract and almond essence, if using it. Pour the batter over the cherries and bake for about 45 minutes, until it just sets but it is still a bit wobbly (a knife poked in the center should emerge relatively clean). If you want you can sprinkle some Demerara sugar on the top (it will add a more interesting texture, providing a crunchy counterpoint to all that wobbly custard and juicy fruits). 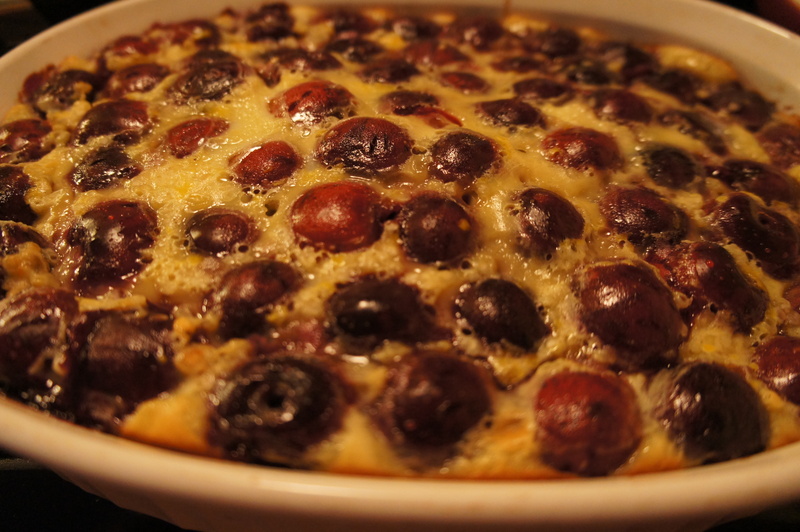 The clafoutis can be served warm, at room temperature, or cold. It’s traditionally not served with any accompaniment. You can make it up to one to two days in advance, and refrigerated it. There are two primary varieties of cherries: sweet and tart (also known as sour cherries). 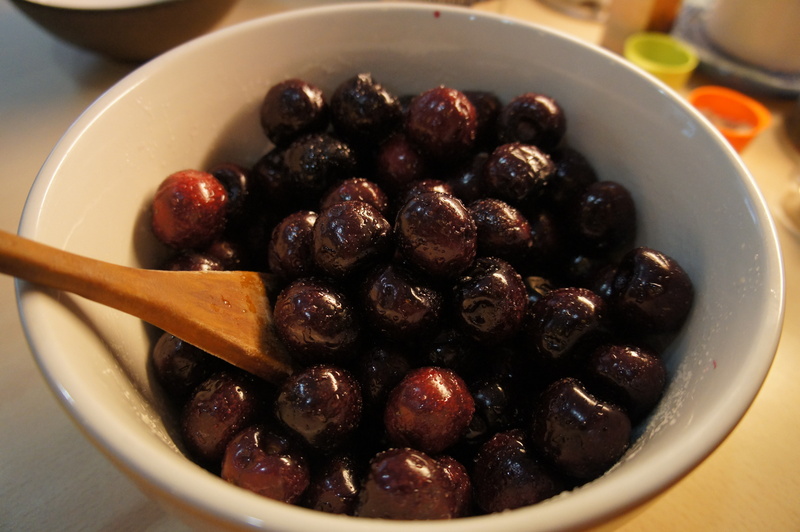 Sweet cherries, such as Bing cherries, are best eaten fresh (and raw), while sour cherries develop a fuller flavor when they’re used in cooking (like baking). Cherries are one of the very low calorie fruits (63 calories, 13 grams of sugar and 2 grams of fibre per 100 grams). Cherries, and more specifically sour cherries (mostly because most of the research done so far has been done with sour cherry), are packed with numerous health benefiting compounds that are essential for wellness. It is important to keep in mind, if you eat cherries for their therapeutic value, that 10 sweet cherries or 1 cup of sour cherries contain about 4 grams of fructose (recommended total daily fructose consumption ≤ 25 grams). Cherry fruits are one of few natural sources of stable anti-oxidant melatonin, a hormone that can lower the body temperature and also can cross the blood-brain barrier easily. As a result, it can produce soothing effects on the brain neurons, calming down the nervous system irritability, which helps relieve neurosis, insomnia and headache conditions. To sleep better, you can drink half to one cup of sour cherry juice an hour before bed. Sweet cherries contains potassium (6% daily value per 100 grams), a natural blood-pressure reducer. Potassium balances fluids in our bodies, essentially offsetting the blood-pressure-raising effects of sodium. One cup of these ruby gems packs roughly the same amount of potassium as a small banana and also contains some quercetin, an antioxidant that may help keep blood vessels relaxed and stretched. Sour cherries provide cardiovascular benefits equal to some medications, and can improve the result even when taken with prescriptions. Finally, anthocyanins (the pigments that give the sour cherries its red color) may activate a receptor called PPAR in different tissues of body. It can regulate metabolism genes expression, which in turn regulates fat and glucose levels and thereby reduce risk factors for high cholesterol, blood pressure and diabetes. Scientific studies have shown that anthocyanins in the cherries may act like anti-inflammatory agents by blocking the actions of cyclooxygenase-1 and -2 enzymes. Interestingly, the sour cherries’ antioxidants can also protect against attacks by exercise-induced free radicals, which can lead to painful inflammation. Thus, consumption of cherries has potential health effects against chronic painful episodes such as gout, arthritis, fibromyalgia (painful muscle condition) and sports injuries like post-workout pain. Sweet cherries are rich in beta carotene, vitamin C, anthocyanins (red, purple or blue pigments found in many fruits and vegetables, especially concentrated in their skin, known to have powerful anti-oxidant properties) and quercetin, which may work together synergistically to fight cancer. Interestingly, preliminary studies suggest the anthocyanin cyanidin may prevent genetic mutations that can lead to cancer and keep cancer cells from growing out of control. While tart cherries contain some anthocyanins, sweet cherries pack nearly three times as many (two-thirds are found in the skins). The riper the better: as cherries darken, they produce more antioxidants. Anthocyanins in sour cherries may activate a molecule that helps augment fat burning and decrease fat storage. Recently, researchers have shown that rats that received whole tart cherry powder mixed into a high-fat diet didn’t gain as much weight or build up as much body fat as rats that didn’t receive cherries. Interestingly, their blood also showed much lower levels of certain inflammation markers linked to heart disease and diabetes. In addition, they had significantly lower blood levels of cholesterol and triglycerides than their cherry-deprived counterparts. 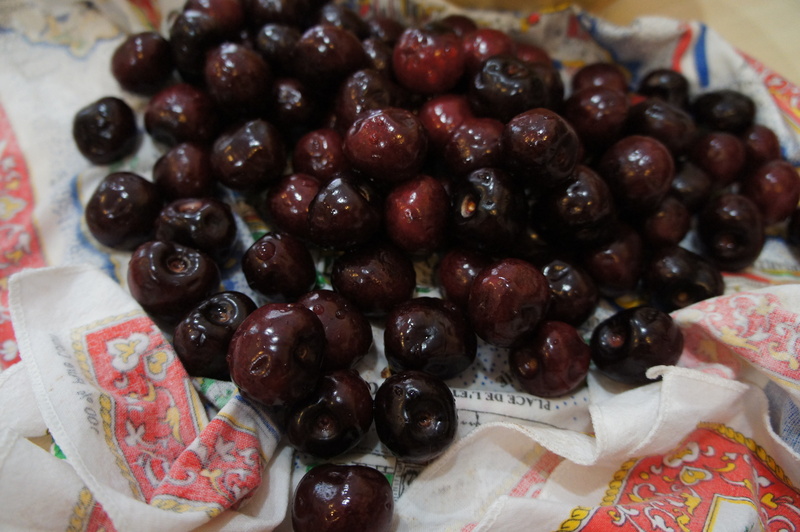 Let’s eat some sour cherries when they are in season!